Hello lovelies, I hope all is well. Are you ready for PART 3 of my Toddler Feeding series?! Yesterday we talked about some tasty lunch options for your toddler, get caught up on Part 2 here! 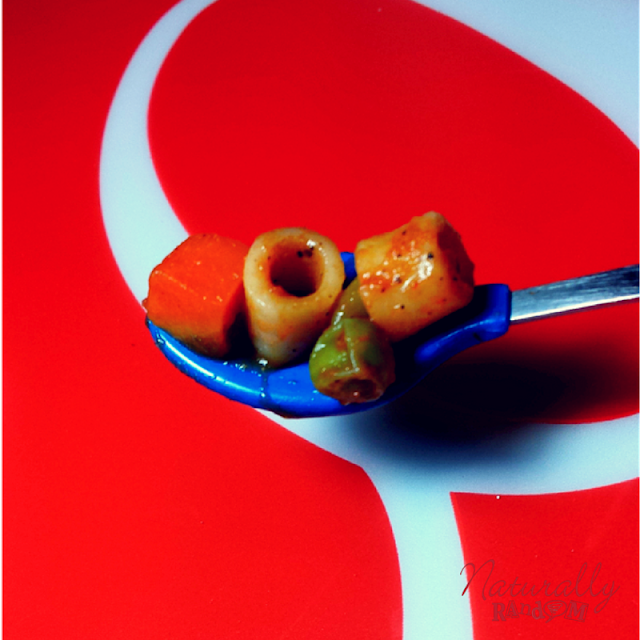 Today, I'll give you some new dinner ideas that hopefully you and your little one loves! We've made it through the entire day of meals...time to wrap it up with Dinner! 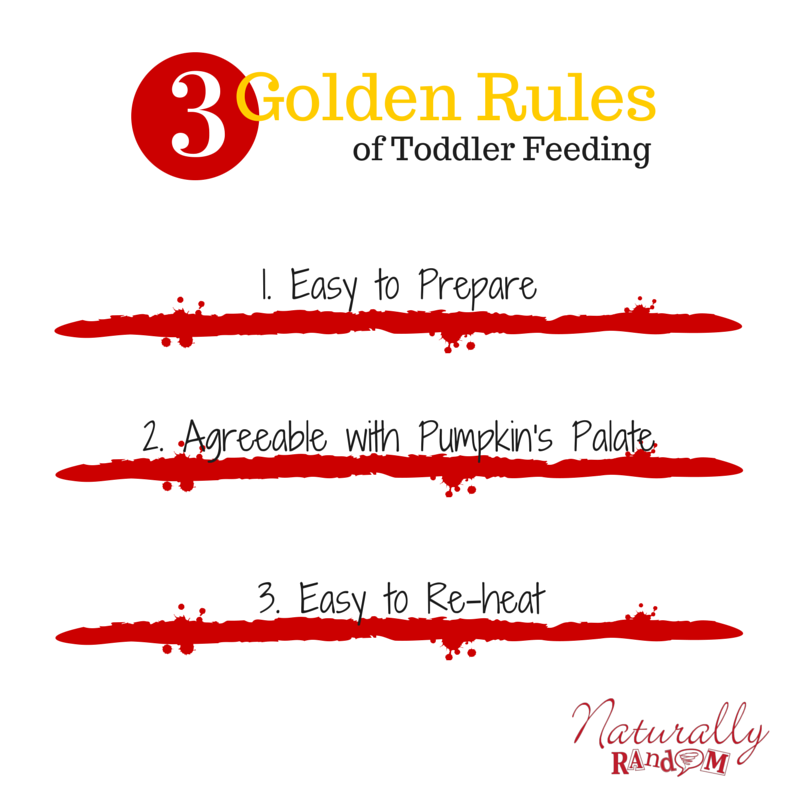 Let's recap the three golden rules to always follow when meal prepping for a toddler! 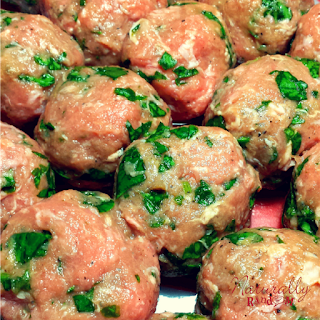 Recently I've been serving Pumpkin either Pasta/Peas & Carrots or Turkey Spinach Meatballs! She loves both! At some point I learned that Pumpkin will pretty much eat veggies if they are covered pasta sauce. The type of pasta doesn't really matter, she's So there always tends to be an open jar of sauce on my refrigerator door for this exact reason. I decided to make something new this week! 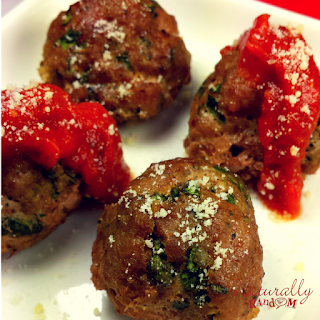 Meatballs were the perfect option.You can make them ahead of time and they re-warm just as tasty! This recipe came from my need to use some left over spinach. 1. I used a food processor and diced up the spinach (lazy or time-saver)...I say time saver! 2. Added a little Worcestershire sauce and olive oil. 4. Rolled into meatballs and baked on 375 degrees for 30 min. It should look a little something like this! This is normally accompanied with a Nuby cup of milk or a 50/50 ratio grape/water juice (protect those little teeth)! She also has choice of a side that always alternates, no matter the meal. See a few examples of sides from yesterday's LUNCH post! 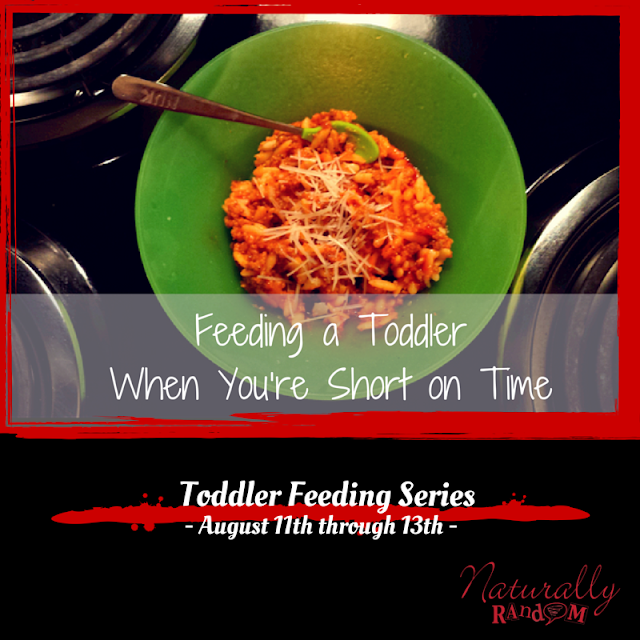 If you liked this Toddler Feeding series, be sure to check out my "What's For Dinner" section (on the golden toolbar) for more foodie inspiration. I hope you enjoyed the series! 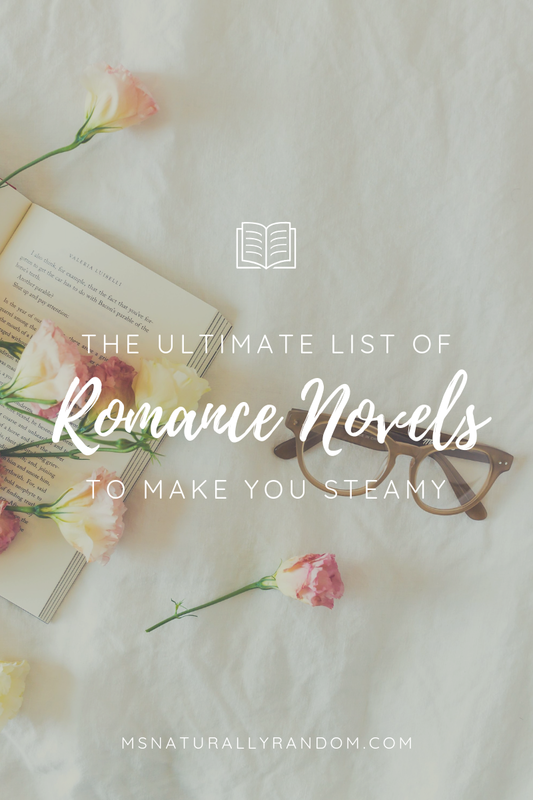 Are there any topics that you'd like to see on Ms. Naturally Random in the future? CLICK PHOTO TO PRINT/SAVE THIS SERIES! 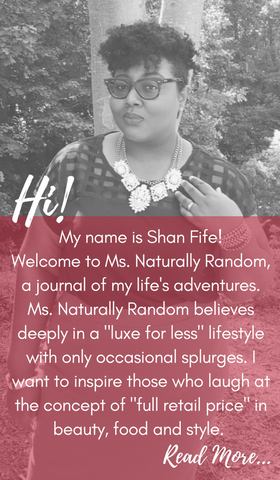 Disclaimer: All ideas expressed here were by me, Shanna Fife, unless otherwise noted. All products mentioned here were purchased by me for the sole purpose of personal use.